This Remembrance Day, Eric Koch has much to remember. His life began 97 years ago in Frankfurt, Germany and his life in Canada began in 1940 when he was sent to Montreal from England to be interned as an enemy alien, along with other Germans, including (ironically) some Nazis. The former CBC producer and prolific author published his first novel at the age of 60. 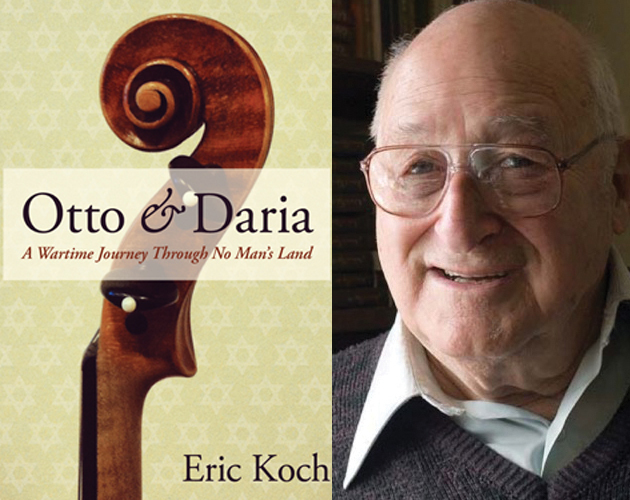 His latest book, the memoir Otto & Daria: A Wartime Journey Through No Man’s Land, documents his escape from Nazi Germany and his wartime experience in England and Canada. It’s also a story of lost love and lost opportunities. The days around Remembrance Day have a special significance for him—and for the world, he says. Eight decades after he became a refugee from the Nazis, he’s concerned about the refugees from Syria. But there is cause for fear these days, he says, observing from his venerable position what’s happening in the world this November. Fortunately, he says, the social and political situation is very different from Europe in ’30s and ’40s. He won’t say what his next novel is about, but who would be surprised if one of the characters is a fascist demagogue?